"Mean" is the third single lifted off of Taylor Swift's 3X Platinum-selling Speak Now album. The DeClan Whitebloom directed-video is Swift's response to the recent epidemic of teen bullying plaguing the country, although it seems to send mixed messages. Interspersed throughout the touching anti-bullying anecdotes are clips of Swift dressed up in various vintage costumes. While touching, the video is also a bit campy which kind of contradicts the whole message of the video, doesn't it? I don't think Swift is making light of bullying but the theme of the video is a little bit confusing. "Mean" was originally released in October as a promotional single, however in March it was made an official single. Chart wise, the song did reasonably well, peaking at #11 on the Billboard Hot 100 chart and at #5 on the Billboard Hot Country Songs chart, becoming Swift's thirteenth consecutive single to reach the top ten on the Hot Country Songs chart. Written by Swift and produced by Nathan Chapman the single is available to download on iTunes HERE! Swift's fourth single, "The Story Of Us" is also available to download on iTunes HERE. Check out the video for that single, directed by Noble Jones. UK pop band The Feeling (AKA Dan Gillespie Sells, Richard Jones, Kevin Jeremiah, Ciaran Jeremiah, Paul Stewart) has released a new video for their single, "Set My World On Fire," the first single from the band's third album, Together We Were Made. The album is due out June 19th on MCA Music, Inc./Island Records and features collaborations with Sophie Ellis-Bextor, Róisín Murphy, Freemasons and rock-producer Bob Ezrin (Alice Cooper, 30 Seconds To Mars). 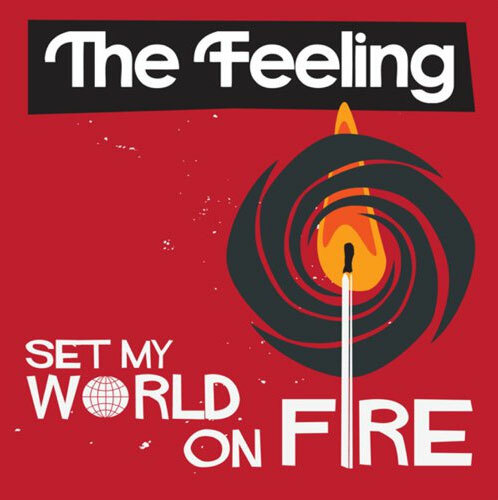 Made available to download on May 1st, "Set My World On Fire" was used as the theme song to the 2011 Cricket World Cup. A clubified remix of the guitar pop single was made by James Doman and Pete Gooding and is available as an extra track on the digital single, available on UK iTunes, along with a B-Side called "Seven Years." If you pre-order the deluxe version of the album HERE on iTunes you also get two bonus tracks, including the Betty Boo-assisted "Virtually Art." Scope out the Isaac Rentz-directed video below and download the single on iTunes HERE.